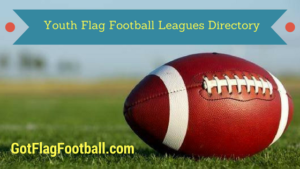 Does your kid play flag football or tackle? Then they need protective gear, including a mouth guard. To help you find the best youth mouth guard, we made a list of the best models available, also covering the one we think every parent should avoid. Finally, because we want you to be completely sure that the mouth guard you buy fits your child’s needs perfectly, we have included a buyer’s guide. It will review the different types of mouth guards available and the most important factors to consider when buying one. Continue reading to find a review of the best youth mouth guards for football on the market, including one to avoid. Shock Doctor Pro Mouth Guard for Youth Strapped and Strapless Review: Although several products are touted as the best youth mouth guard for flag football, the winner is Shock Doctor Pro. It is available in both adult and youth sizes, therefore suitable for children both under and over 10 years of age. Its dual composite construction ensures optimum protection and light weight. The jaw pads absorb shock, deflecting impact and vibrations. As a boil and bite mouth guard, it allows perfect molding and ensures perfect fit, even for children wearing braces. It comes with a detachable strap, its helmet tether allowing quick-release. The price is affordable, and hundreds of excellent reviews testify to the quality and worthiness of this mouth guard. The only thing we didn’t like about it was the fact that it comes without a carrying case, but you can buy one separately. SISU Mouth Guards Aero 1.6mm Custom Fit Sports Mouth Guard for Youth Review: Another powerful candidate to the title of the best youth mouth guard for flag football, the runner-up on our list is SISU Aero 1.6mm. Thin and lightweight, it promises ultimate comfort and convenience for the wearer, allowing talking, breathing, and drinking without difficulties. It uses the Diffusix technology to distribute impact forces, and offers excellent protection at smaller dimensions. Its wide bite pad and rounded edges promise a perfect fit even with braces. The Youth size is perfect for kids aged 7-11, while the Adult size fits kids wearing braces, kids over 11 years of age, and adults. This boil and bite mouth guard does not come with a strap or a carrying case. However, it relies on a 1-year, $35,000, limited warranty protection, one of the highest on the market. This is more than enough to justify the average to high price, and hundreds of positive buyer reviews confirm it. Shock Doctor Max Air Flow Lipguard Review: While looking for the best tackle youth football mouth guard with strap, we came across Shock Doctor Max AirFlow Lipguard. It provides the superior protection and the strap so necessary during high-contact sports like tackle, without the hassle of boil and bite mouth guards. You’ll love its medical grade silicon construction, its convertible tether and its low-profile bite-pads. Perhaps its most important strength is the breathing channel ensuring maximum airflow. You can easily clean it in hot water or in the dishwasher. While this is not the highest-priced product in its category, and has quite a few excellent reviews, it would surely enjoy an even higher popularity if it came with a carrying case. Of course, you can buy one separately. Century Snake Eyes Mouthguard Review: Convincing small children to wear a mouth guard is not easy, even though it is for their own protection. A Snake Eyes, Carnivore, or Pink Mamba mouth guard from Century solves this problem with its attractive design, so any of these three models qualifies as the best football mouth guard for 5 year olds. Available in Youth and Adult Sizes, they have a bold, colorful, yet intimidating design that will thrill any child: boy or girl. They are suitable for other sports as well, besides football, as they cover the teeth with a soft, shock-absorbing material. Your child’s comfort is ensured by the boil and bite fit, and your peace of mind should come from the $7500 dental warranty. EmPOWER Sports Mouth Guard for Youth Football and All Contact Sports Review: The best football mouth guard for 7 year olds is one that offers optimum protection, is easy to mold, and does not cost a fortune. This EmPOWER Sports medical grade mouth guard fits the profile, and has some valuable features, worth looking at. It relies on shock-proof technology and it is suitable for most contact sports, from football to MMA, and boxing. It is small and easy to mold, promising to ensure a tight and comfortable fit. It has a lifetime money back guarantee that you will probably never claim due to the affordable price. Containing no latex or BPA, it promises to let your child breathe properly and talk while wearing it. When they no longer need it, you can store it in the vented case included in the purchase price, to prevent bacteria and dust buildup. Under Armour Mouthwear ArmourFit Mouth Guard Review: While any of the first three mouth guards on our list qualifies as the best football mouth guard for high school players, we felt Under Armour Mouth Wear is worthy of this title as well. We were impressed with its $32,000 dental warranty and compliance with NFHS rules, but its list of strengths does not stop here. Its design fits most contact sports, and its strap allows it to remain close to the skin without the unpleasant compression squeeze. It fits like a charm due to the ArmourFit technology, offering chew-resistance and easy breathing and talking. Finally, it does not contain any latex, and it is made in the U.S., under a brand that stands for quality and performance. SISU Mouth Guards Max 2.4mm Custom Fit Sports Mouth Guard for Youth Review: A 2014 study concluded that custom-made mouth guards could help prevent concussions during high-contact sports. According to it, a mouth guard’s ability to provide protection against concussions depends on its fit and ability to absorb and distribute impact forces. SISU Max NextGen offers both these qualities and seems to be the best football mouth guard to prevent concussions. With features identical to the Aero SISU mouth guard reviewed above, it is thicker (2.4 mm) and able to better absorb and distribute impact forces, promising to reduce dental injury and concussion risks. It relies on the same impressive $35,000 dental warranty, and provides the same incredible comfort and convenience. Shock Doctor Double Braces Mouth Guard Review: If your child wears braces, finding a comfortable and safe mouth guard can be a challenge. It is made from medical-grade silicone, free of latex, comes with a detachable strap, meets NFHS rules, and requires no boiling or fitting. It relies on an ortho-channel design to comfortably embrace and fit both brace brackets and prevent lacerations. It has ventilation channels to allow optimum breathing. For these reasons, Shock Doctor offers what is considered to be the best mouth guard for braces in football. Its price is in the mid-high range, but it’s assured to be worth the price tag. Battle Oxygen Lip Protector Mouth Guard Review: If you don’t want your child to end their game with a broken lip, you should consider getting them a Battle Oxygen. It is the best football mouth guard that covers the lips, it is affordable, and very easy to use. It comes in one size meant to fit children over 7 years of age and adults, and several attractive color options. It relies on a patented design to ensure perfect fit and performance, and it does not require boiling and biting. It has a large breathing hole, allegedly the largest on the market, and it comes with a connected, convertible strap. You’ll love its unlimited defective guarantee and its $5,000 dental warranty. SISU Mouth Guards Junior 1.6mm Custom Fit Sports Mouth Guard for Kids Review: A powerful candidate for many of the titles above, SISU Junior NextGen is the best extra-small mouth guard for football. It is thinner than conventional models, lightweight, and easy to fit due to its boil and bite mold, wide bite pad, and rounded edges. It lets the child talk, drink, and breathe while wearing it, without compromising the protection they enjoy. In fact, as with the other SISU mouth guards the manufacturer offers no less than $35000 dental protection as part of their one year limited warranty. They recommend consulting a dentist and acquiring the adult size for children wearing braces. Flavored Mouth Guards by MOGO Review: The original Mogo mouth guards are not such a bad investment for their price, especially given the $10,000 dental warranty. We appreciate the fact that Mogo were the first ones to come with the idea of flavoring their products and they took the trouble to use natural ingredients. However, we think flavors are unnecessary, and the mouth guards that use them promote unhealthy habits. Kids should agree to wear a mouth guard for the protection it offers, not for some plastic-embedded flavor. Also, Mogo mouth guards do not accommodate braces and, according to customer reviews, are too small for the age-range they target. Shock Doctor: Market and mouth guard technology leader, Shock Doctor has been on the market for 26 years. Their products focus on providing protection and enhancing performance for athletes and are available in over 10,000 retail stores around the world. The Shock Doctor team includes famous athletes: Kevin Love, Harrison Barnes, Demarcus Cousins, and Jamaal Charles. Throughout the years, they have released several lines of mouth guards incorporating innovative technologies: Gel Max (2002), Gel Nano (2007), Nano 3D (2011), Low Profile Lip Guard (2013), MicroFit (2016). All of them seem to sell well and include models that could qualify as the best youth mouth guard. SISU Mouth Guards: The brand belongs to Akervall Technologies Inc., one of the 5000’s fastest growing U.S. according to Inc. Mouth guards are the only products they focus on, and their goal is to constantly improve them by researching and developing new products and technologies. Their NextGen line of mouth guards consists of three models: Junior, Aero, and Max. All three models rely on the Diffusix™ Technology to deflect impact, have perforated, oscillating surfaces, and redirect forces from the teeth into Crumple Zones. The $35,000 dental warranty is the best proof of the manufacturer’s trust in their products, and one of the reasons many parents label them as the best youth mouth guards. Battle Sports Science: The company’s history began in 2009, and its founders are former athletes, whose passion for sports is still alive. Through their products, they aim to improve sports safety. Besides mouth guards, they produce the XFast football ankle supports, compression shorts, cups, jocks, and combos, back plates, gloves, sleeves, tops, bottoms, headwear, footwear, bags, hand warmers, and cleat sleeves. Available in standard and lip protector models, their mouth guards feature various colors and attractive designs, promising to meet even the highest expectations. They come with a dental warranty of $5,000 per event, and their good reputation confirms they live up to their promise to protect football players’ teeth and lips. 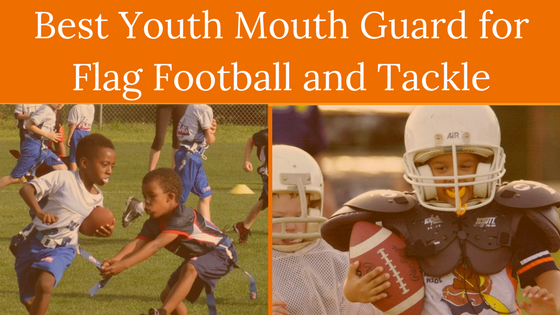 Choosing the best youth mouth guard, much like selecting the best youth football cleats for kids, isn’t always an easy task, considering the safety implications. You need to choose between several types of mouth guards, with various features, offering protection levels of various kinds, while finding the right size for your child, as well as exploring the option of buying a customizable model to make sure it fits. Before reviewing these factors you should consider, remember that your child’s safety is worth more than the couple of bucks you could save by ordering a cheaper product. Also, a storage case can protect your new investment against germs, dust, and getting lost. 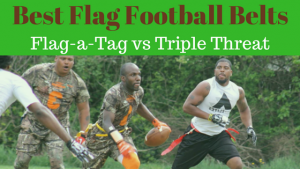 Strap or Strapless: The strap usually comes in handy for tackle, allowing one to attach the mouth guard to the helmet, but it is often inconvenient for small children and unnecessary in flag football. With or Without Braces: If your child wears braces, it is important to make sure the mouth guard you buy can accommodate them. Shock Absorbing Ability: If your child plays tackle, they will need a mouth guard able to absorb shock and dissipate impact force. Guarantees: Some mouth guards come with a money back guarantee, while others provide dental warranty. Mouth Guard Size: Most mouth guards come in two sizes: youth and adult. The youth size should fit children age 7 to 11, while the adult size should fit anyone over 11-12 years of age. There are also one size fits all mouthpieces that should fit anyone. Some of these can be trimmed with a pair of sharp scissors, to match smaller mouths. The best way to figure out whether a particular mouth guard model will fit your child is to carefully read its description and buyer reviews. Generally, youth products fit children better and provide more comfort than one size fits all products. Protection Level Offered: Does your child play tackle, or flag football? 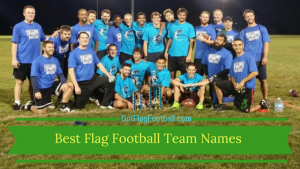 If they play flag football, their chances of getting hurt during the game are lower. If they are still small and their teeth haven’t changed, losing one will not be the end of the world. However, if they play tackle, things change. Tackle is a high-contact sport where chipped teeth and broken lips are common, so you’ll want the best youth mouth guard available. Without it, your child could suffer serious injuries, and you would have to cover expensive treatments. To avoid this, look for perfect fit, lip protection, proper airflow, and low choking hazard. Custom Fit: As you can imagine, custom fit mouth guards are custom made, based on the wearer’s mold, needs, and expectations. They offer the best protection, but they are only suitable for children with fully-grown adult teeth. They cost a few hundreds of dollars, and you need to order them in a dental clinic. Boil and Bite Mouth Guards: These are your next best option. They do not provide the perfect fit and durability of custom fit mouth guards, but they can still be molded to fit your child’s teeth, they provide optimum protection, and they are up to ten times cheaper, costing between $10 and $30. The molding process involves placing them in hot water to make them soft and flexible, biting them to give them the desired shape, and placing them in cold water to help them maintain their shape. If they don’t fit or feel uncomfortable after molding, you will most likely need to repeat the process. Preformed: Finally, preformed or stock mouth guards come in one size. They cannot be molded, so they are often uncomfortable and fail to provide optimum protection. Some models have soft gel bite pads to ensure a better fit. Those who prefer preformed mouth guards usually fall for the low price, often under $10.